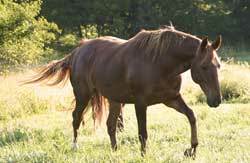 Hoof pain associated with after effects of laminitis. Hoof Ailments is recommended for horses suffering from abscesses, bruising, stretched lamina, or soreness from traumatic injury to the hoof. This solution is used for early stage or chronic ulcerations that have been difficult to treat. It promotes the discharge of pus and generates new tissue for chronic ulcerations and sores that have formed pus but have not drained or healed well. Hoof Ailments is designed to draw the healing properties of the herbs to the coronary band as well as into the hoof capsule. It has the remarkable ability to recover the hoof from damage anywhere within the hoof while assisting in the “regeneration” of new healthy tissue. 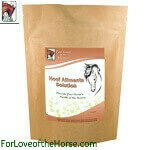 Hoof Ailments solution will encourage the recovery of the hoof from abscesses that follow a laminitic episode. Use Natural Pain Relief along with Hoof Ailments to speed recovery from bruising and increase pain relief. Use Total Immune Health along with Hoof Ailments to speed the healing of abscesses and resolve accompanying infection. Hoof Ailments Solution: As with many of the herbal solutions I have formulated, Hoof Ailments has far exceeded my original intention. When I began working on this herbal blend my intent was to target this formulation to abscesses in horses and the associated pain and damage that accompanies this hoof problem. As part of tackling that issue, I of course, considered the "run-away" inflammatory process usually caused by a bacterial infection and included a group of herbs that has more than ample anti-inflammatory properties. But at that point, I was not yet aware of the intricate connection between abscesses and laminitis. 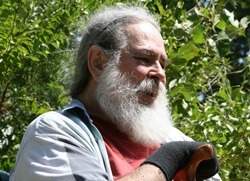 Shortly after completing this Herbal Solution, I began my year long research into the relationship between laminitis and immune function which culminated in my article "The Immune Laminitis Connection" (For me, this article, for the first time, clarified how a laminitic event results in an almost immediate creation of a hoof capsule abscess). This research, along with my analyses of many blood chemistry reports on IR horses also demonstrated that virtually all of these horses have weak immune functioning. When I then reconsidered my Hoof Ailments formula, I found how much more effectively I'd succeeded in formulating for the abscesses related to laminitis than I'd known. This herbal blend works with the innate immune system to assist it in surrounding the dead laminae tissue (which lead to bacterial infection) and "digesting" them. Hoof Ailments also supports the immune system in whisking away antigens created by the separation and/or stretching of laminae tissue. It promotes the discharge of pus and generates new tissue for chronic ulcerations and sores that have formed pus but have not drained or healed well. So basically, Hoof Ailments has the remarkable ability to recover the hoof from damage anywhere within the hoof capsule while assisting the "regeneration" of new healthy tissue. No wonder our customer's horses are getting such incredible results. Very gratifying! 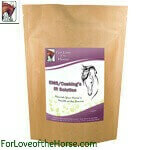 Horses using our Hoof Ailments Solution are having extraordinary results. Read Our Success Stories. Ingredients: chi shao, zao jiao ci within a proprietary blend. Hoof Ailments 715g Discounts Apply ! 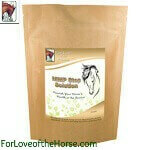 Very effective for acute inflammation; also seems to promote quality hoof growth. I have used this product in the past and had great results. Just had a relapse after several good and needed to restart. I'm hoping to get the same great results as last time, but too soon to tell.